I am a young Italian scholar of the literature of the Twentieth Century but I have always been fascinated by the idea to put a vision of life forward in a way which can be both religious and poetic. Hence, I can say that I have been trying to find my voice as a poet. I have always admired Milton's Paradise Lost despite the fact that what I wanted to create was a model which had in it that feeling of anxiety which is one of the main feature of this age, a queer mixture of positivism and syncretism. My mentor was the Italian poet Mario Luzi who was candidate for the Nobel Prize. I'd like to send you my attempt in English which you 'll find attached, a poem entitled Galahad. I think that your attempt is a way to create a third way for poetry between realism and spiritualism, a third dimension. Galahad, a book length poem, was indeed attached. I read it and understood it to some extent though the English was sometimes distracting, just as it would be if I tried to write a poem in Italian - or even Hungarian. We exchanged a number of emails about it and the correspondence has continued to this day. As the title suggests it deploys the Arthurian legend to argue its way towards a kind of spirituality. Here is a passage from The Death of Galahad, a later version of the legend, in his own English. Can you imagine what has not a shape? You'll be disgusted because you are the heir. Although I could not follow all the lines of narrative in the poem there was no mistaking the passion and the desire to adapt the Arthurian legend to articulate a vision of a better world. 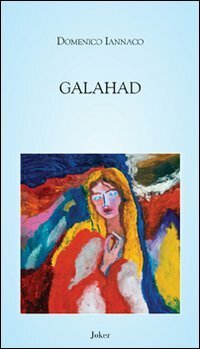 The Death of Galahad is a very substantial work written in the poet's second language with all the complexities that implies. It is at the same time full of vision, symbol and narrative detail. The poem seems to me to move between the fate of a specific individual, Galahad, a seeker after purity, and the world he is caught in which is far from pure, a ruined Europe of the spirit. The narrative is multi-layered, drawing on Arthurian legend but one is aware that this is less a historical poem than the enactment of a crisis. There are parts that are extraordinarily vivid, other parts where the voice seems to spread among the figures of the poem. Those who follow it to the end will discover a rough-hewn epic born out of a passionate and individual mind. Such things are fascinating. There are many ways of attempting a synthesis between old epic form and new ideas. I wish Domenico luck with his project. Galahad I have also read it and feel a lot different. Everything is almost absorbed.